1. Rub the rims of eight highball glasses with lime and dip in Margarita salt. Fill glasses with ice and to each glass add: one ounce vodka or tequila, the juice of one lime, three dashes Worcestershire sauce, pepper, hot pepper sauce and three sprinkles of celery salt. Fill each glass to the brim with Clamato juice. 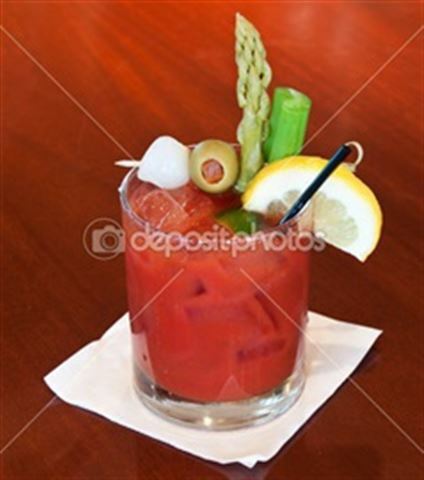 Garnish with celery or carrot sticks. Distribute among guests. Enjoy this delicious Baja California style bloody mary Mexican food recipe! Great refreshing cocktail. Add a half teaspoon or so of prepared course horseradish. Kraft brand works well.